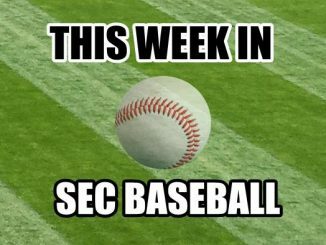 Some moved up, some moved down and some stayed the same rank in the second week of SEC baseball conference play. 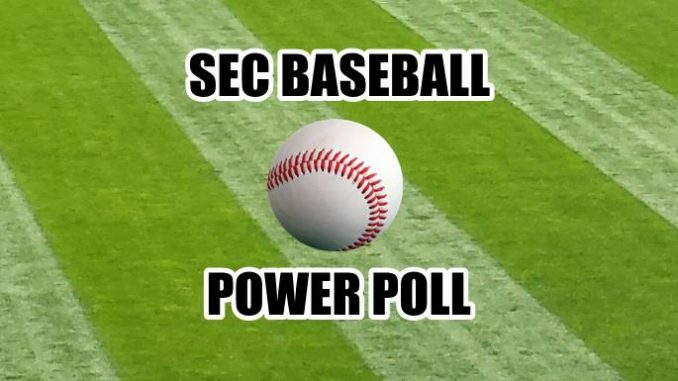 Look inside to see the latest SEC baseball Power Poll from 14Powers.com. 5-1) Georgia continues to look great. Took 2 out of 3 from LSU in Athens. Still early in the season conference wise but no reason yet to take No. 1 away from UGA. (4-2) MSU scored 40 runs in 2-1 series win at Auburn. Bulldogs look for real. Host LSU next. 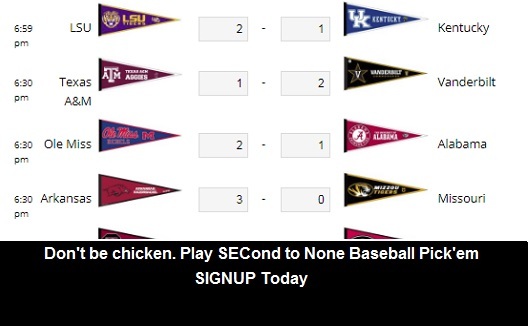 (4-2) Vandy, mad over blowing series win at A&M last week, outscored opponents 39-6 in four games this week. Host Tennessee next. (5-1) Texas A&M follows up home series win over Vandy with sweep at Kentucky. Aggies host Missouri next. (4-2) Auburn dropped 2 of 3 to MSU at Auburn. Tigers have to find some pitching for this weekend’s series at USC. (4-2) LSU falls 2-1 in road series at UGA. The Tigers had problems scoring runs in this one. Next up is a visit to Starkville. (3-3) Ole Miss loses a 2-1 series at Mizzou. It’s just hard to win on the road in the SEC. The road continues for the Reb this week at very tough Arkansas. (1-5) Young Gators squad was dominated by veteran Vandy team in Nashville. 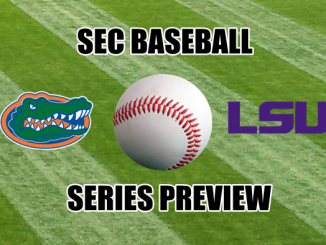 Gators could pick up some lost ground with home series against Bama coming up. (2-4) Alabama is definitely improved. Pulled off big win over Hogs at home but lost series. They may make it to Hoover this year. Upcoming trip to Florida will be interesting. 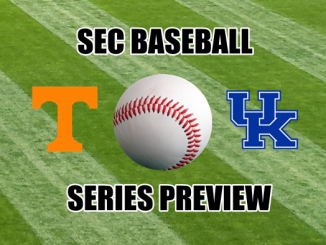 2-4) Tennessee won 2 out of 3 from a reeling South Carolina team. A visit to Vandy should be a bigger challenge. (2-4) Mizzou wins a 2-1 series over Ole Miss. Tigers are better than last year. A trip to A&M this weekend could get bumpy. (1-5) It’s been a tough two series for the Gamecocks. This week they lost 2 of 3 at Tennessee. It’s still early though. USC could make a statement this weekend hosting Auburn. (0-6) Kentucky’s just a very young team that needs something good to happen. This week they host a tough Georgia squad. The Wildcats need to at least win one to get their first SEC win in their new facility.